Giving your kitchen a new face lift will not only add to the appearance, it will also add value to the home. Cabinet refacing is a project that can be done by the homeowner, as long as they plan ahead and follow instructions properly. Old and worn-looking cabinets can be an eyesore. But rather than paying the high prices of purchasing a new set, there are cabinet refacing supplies that a person can purchase at many different home improvement centers. 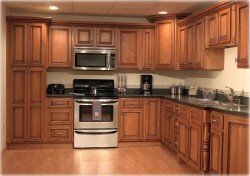 Giving your kitchen a new face lift will not only add to the appearance, it will also add value to the home. After all, the kitchen is the most important room in the home. If you want to give it a go, it is very important to prepare the surface area. If this stage of the process is not done correctly, the refacing material will not hold and will begin to pull away from the cabinet. 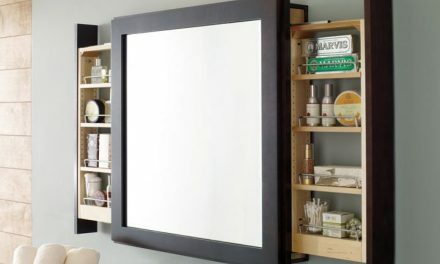 If the surface is flat, you can always add elements that will add depth to the cabinet unit. You can purchase small wood trim that can be either glued or fastened to the kitchen cupboard door using brad nails. A list should be written as to what cabinet refacing supplies to purchase. That list should include such items as a cleaner, adhesives, sandpaper or steel wool and a properly sized screwdriver if one is not on hand. You will also need putty if any trim work is applied to the surface using brads. If your intention is to merely paint the surface, a color match that conforms to the wall paint is advised. To finish the job off properly, purchasing new hardware is not necessary unless the existing pulls and knobs are not to your liking. To save money, you might want to buy spray paint to coat the old hardware after it has been thoroughly cleaned. There are many home improvement books that can be purchased to assist you along the way. Cabinet refacing is certainly a do-it-yourself project that can be fun.